Power FC Tuner in Oregon/Washinton? I searched but most threads were outdated. 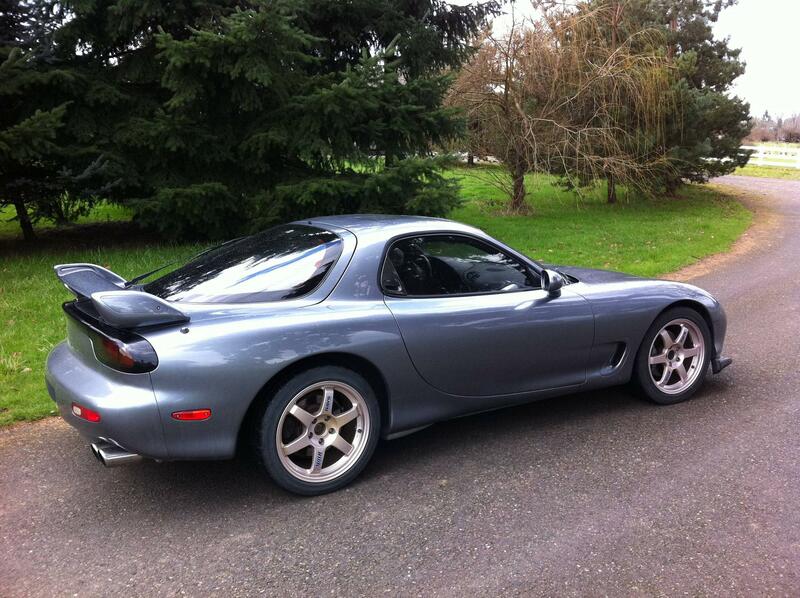 Looking to get my FD tuned in the next month or so. Currently have a Power FC that I want to get tuned. Is there anyone specific in the area that does good PFC tuning for rotaries and knows what they're doing? I recently went to Lawrence over at INTEC racing in Kent, WA. I was in the same predicament after my v-mount + new twins were all together. He did a great job and walked me through the whole process while I was there! Thank, ill check him out. Anyone know anyone else in the Portland Area? No problem at all! To answer your question, I'm not sure about anyone located in the Portland area. I know Pineapple Racing is located around there, but I'm unsure if they do any sort of tuning. I have a few friends that live around the area though, so I'll ask around tomorrow and see if I get any info! I'll reply on your thread if I do. 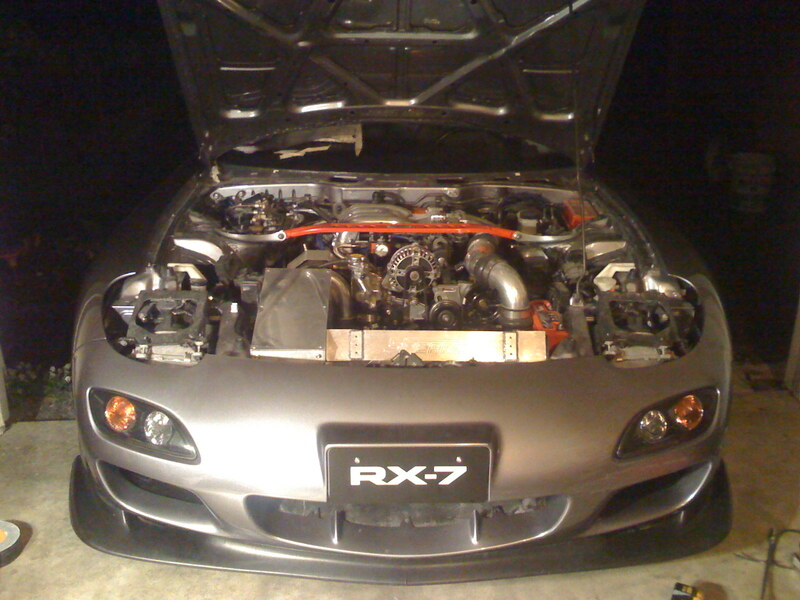 is Ralph Friend still around and doing RX7 PFC tuning? I know 2 of us in Eugene Oregon looking to get tuned soon, not sure what the best options are? Ralph isn’t in the game anymore. Honestly not sure if anyone around still tunes power fc’s. Brian green did one I had years ago but I’m sure he would prefer not to. I have no affiliation with them, but they've tuned many Formula Drift, etc cars over the years and are well renowned in Washington. I would definitely trust them over Intec. They will 100% do PowerFC's. U.P. Garage in University Place will also tune rear wheel drive cars using PowerFC but I can't say they specialize in rotaries, they're more of a Nissan shop. However, they deal with a little bit of everything. PSI would be my first stop. I’ve called PSI in the past and they said even though they’re good with PFC, they aren’t confident with rotaries. Thats the problem, PFC support is one thing, understanding the specific needs of a rotary and intimately knowing where the stopping points need to be with a margin and tells that you are in dangerous territory are the most important factors to be confident of! I have a car that NEEDS to be done by a competent trustable known good rotary specialist IMO. Have they done any group dynos as of late? Would there be enough interest to get someone that knows what they are doing to come in and help sort the cars people want tuned correctly the first time? Is there enough people to even think about bringing someone good in? Any interested people? Enough to even Start considering something like that? Last edited by rotarypower101; 03-03-19 at 11:50 AM. Although not super convenient for you guys, ForceFed are just over the border in Abbotsford BC. im not sure if traveling tuners even do that any more? now days remote tuning is all the rage on more modern systems like the adaptronic. Ive just been tuning my own car with the PFC my self these days, but would probably be interested in having a professional look it over once I get into higher boost and power levels. what all is done to your car 101? I second forcefed for anything rotary. Local tuners might be a little tough, my first stop would be finding Marc Hendrix, or spyder on here and see if he would touch it or have any suggestions. I’ve got a buddy that used to do it for a living but he only does his car and a couple of close friends now. Not too proud to say I need help, If you can help straiten me out I would absolutely Love to get help by someone that is conservative and confident with what they are doing. What information would you desire to know? I have kind of been away from the car for awhile...too long TBH, so forgotten quite a bit. I think its a beautiful car that is built fairly well mechanically, but I just have zero confidence with the tuning despite spending a lot of time reading about it and trying unfruitfully. I need first hand help. If you can help, I am asking for help, even if only to locate capable help. Last edited by rotarypower101; 03-07-19 at 05:58 PM. wow pretty nice car! how much boost are you running? I had tuned my car with the twins, after slowly adding mods, and am working on tuning it with the 7670EFR now, just using a conservative timing map, and then tuning the A/F very conservative too, just aiming for something that wont blow up, vs a lot of power. ~17PSi... But that is the issue, I have had absolutely terrible luck getting my car sorted for this specific task. I have been to multiple different people and for whatever reason it just has not been completed. Its literally the last step to make this car something I think is special. It needs to run well, and restore some of the “production car” usability. TBH I care very little for the power figure,I think I have all the parts to make it a cohesive “drivable/streetable car” with a comfortable usable power band, I would like to have the AFR tuned to increase/maximize allowable safe steady state cruising MPG and eliminate “any”/most all hydrocarbon smell. I want it to run reliably for any weather condition and remove many of the just plain silly quirks to the car currently. Like it fooding if the correct startup procedure is not strictly adhered to. Or even on shutdown it will flood itself if not attended to correctly. Even things like finding a way to keep the idle at a low RPM without artificially inflating it because certain stimuli will allow the idle to dip too far for seemingly no reason, killing the engine. Almost all my desires are of usability, and I just have not found anyone that can tell me what to do with that ambition or how to accomplish that aspiration. I put a lot of time into trying to do it alone reading and following others advice, but that just isnt enough apparently, I need first hand help from someone that gets it, and knows how to do those things. If you have any advice, I could really use some help! Where's a good FD tuner in Washinton state? What makes a good tuner a "Good Tuner"? Quick Reply: Power FC Tuner in Oregon/Washinton?